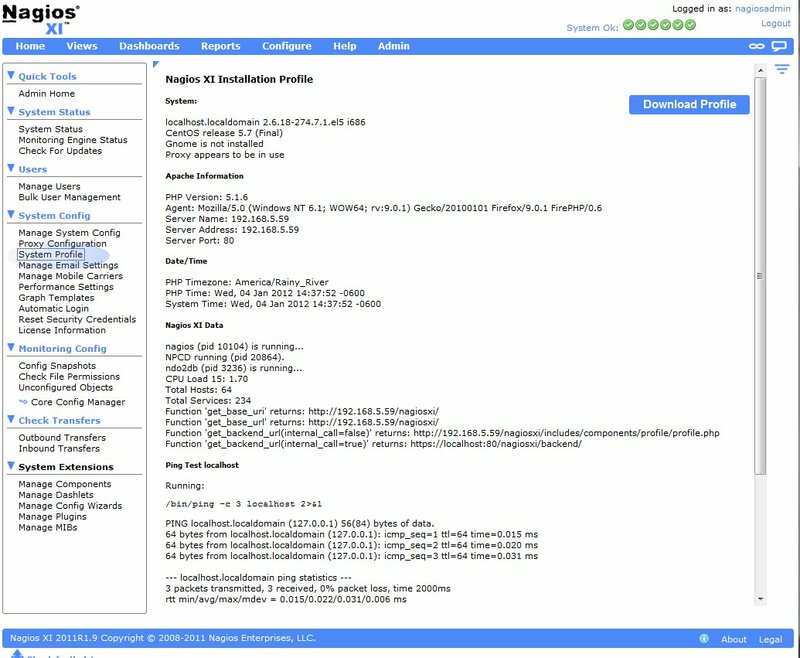 The component adds a System Profile page to the Admin menu and displays relevant system information for common troubleshooting issues. The profile information can be downloaded as a text file to provide support teams with importation information. This component will ship with any Nagios XI install 2011R1.10 or newer. We recommend installing this component for all existing 2011 installs in order to expedite support issue.